Processing Materials:All kinds of mineral powder, metal powder, coal powder, coke powder, sinter and other materials. Oxide scale briquetting machine is mainly used for pressing sinter and it has such features as high pressure and automatic feeding. 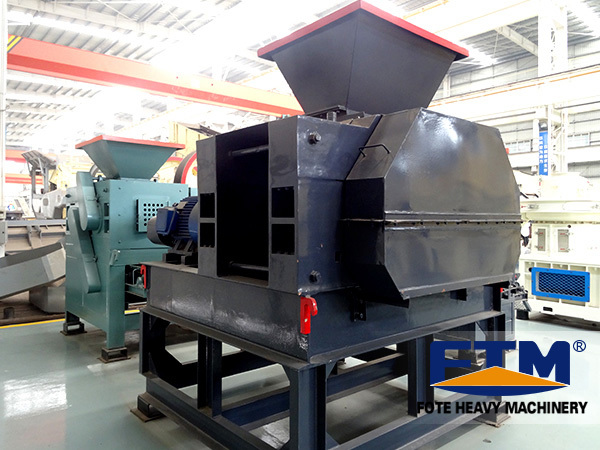 The pressed pellet has high density, strength and hardness. The design principle of oxide scale briquette machine is forced squeezing of rollers, and it can also be used for pressing all kinds of mineral powder, metal powder, coal powder, coke powder, sinter and other materials. The rollers of this briquette machine are made of 650mm hard materials with excellent wear-resisting performance, thus extending the service life of the rollers. The price of the sinter ball press machine of different models is different, so consult the online service if you need anything. 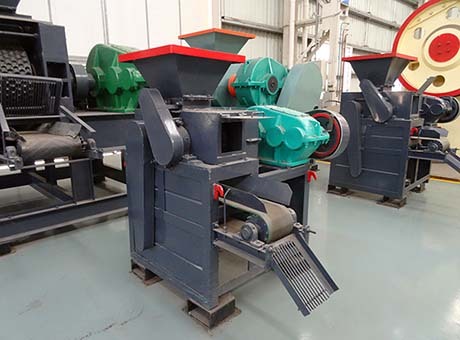 Oxide scale briquetting machine is mainly used for pressing the peat produced by coal washing plant and power plant, and the peat pellet can be directly put into the furnace for calcinations or smelting, which not only improves the added value of the peat, but realizes the recycling of resources. When this briquette machine works, the sinter does not need to be crushed, as only by adding a small amount of adhesives and using roller type mixer to mix the materials evenly can the sinter be put into the sinter briquette machine for pressing. The temperature of the final balls is high (generally about 30-40℃). After stored and cooled, the final products can be used. Oxide scale briquetting machine simultaneously transmits the power to the two rollers through reducer, and makes the two rollers rotate in the opposite direction. 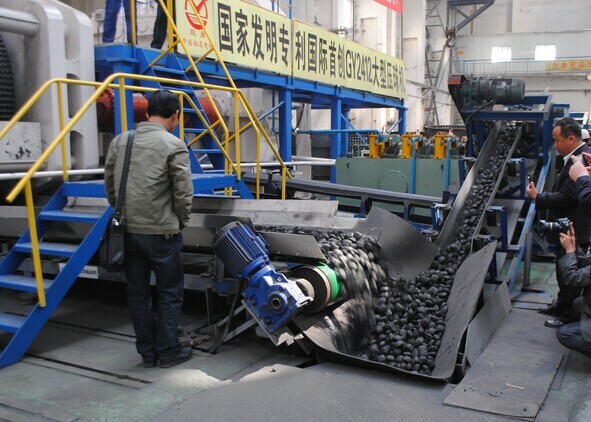 With the rotation of the two rollers, the materials automatically go into the ball moulds on the rollers, and the pressure on the materials will become higher and higher. 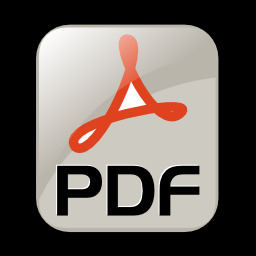 When materials rotate to the linear contact point of the rollers, the pressure on the materials will reach a peak. 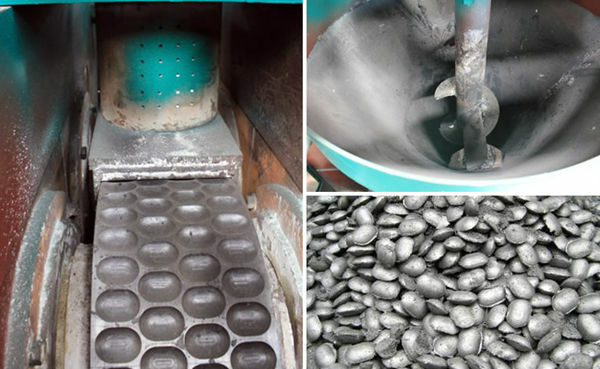 Under the huge linear pressure, sinter will become final balls from powder.